Balloons are always the first choice for party decorations especially for children's birthdays. A simple decor of a small venue could go from Php3500 to Php6000 and that's just might be 100 floating balloons and a pair of pillars. 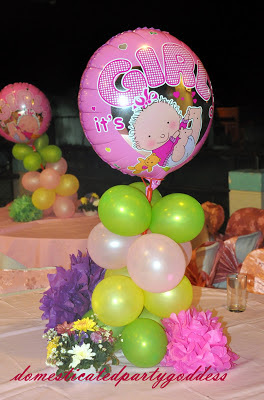 Surely moms on a budget would rather do their own decors if they can but more often that not, they find it extra difficult doing the balloon decors themselves. First, they have to buy the balloons and need to go to Divisoria to get a good deal. The good news is there's a new alternative way to decorate your party on your own. 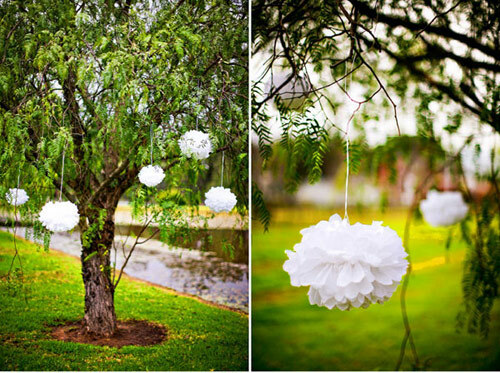 This chic and stylish decor is made of tissue paper. No, not the kind we use in the toilet but the soft ones that is used to pre-wrap presents in high end malls. It's like a softer version of onion skin. I've seen this at Martha Stewart's site and instantly fell in love. 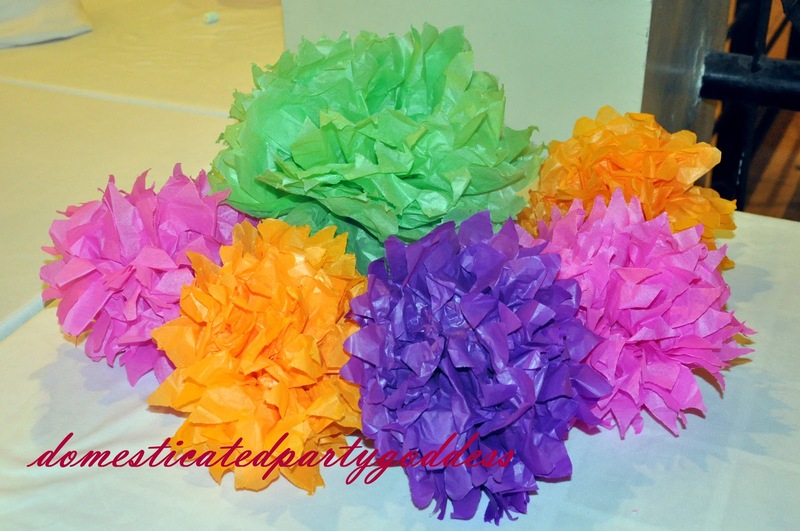 I knew I could do this on my own so I spent hours on the internet to learn how to create tissue pom poms and get various decorating ideas. I got hooked to this for days! So where do we get tissue pompoms? Well, in the US, a set costs around $12.00. So you tell me, "I thought this is supposed to be a cheaper alternative to balloons?" Okay, don't fret yet. 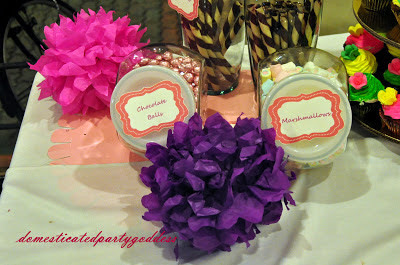 Why buy when you can create these beautiful babies in just ten short minutes? I am not gonna spend that much too on paper so what I used for my paper pom poms are crepe paper and Japanese paper (papel de hapon). You just need to be extra careful with the Japanese paper as it tears easily. For video tutorials, please check this and this.